During the beginning of May I ran a giveaway for the Solving Leaky Gut Course!!! This course is amazing and I got to see it before it was released publicly. The course was on sale for $297 and now the price has increased to $597. 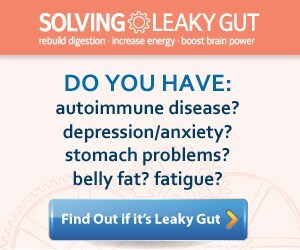 If you are still dealing with food sensitivities, bloating, IBS and so many more issues you might want to ask yourself, “do I have leaky gut?” You can take this quiz here and it will inform you if you are at risk based on your issues. I paid for this giveaway myself. I wanted to thank you for being a fan of my site. I picked this particular course as this month’s giveaway because it is a really important topic that you should be thinking about. Chances are you are eating gluten-free because you react to it not because you decided to stop eating it because it’s the latest fad. Click here to read more about the course.